Animated Photos Wallpapers enable you to select different Photos wallpapers winter, Autumn, Love, Music, Birthday, Personalize. Based on various choice and mood this app has many different categories of animated wallpapers from love to music, birthday to personalize own animated wallpaper as well. 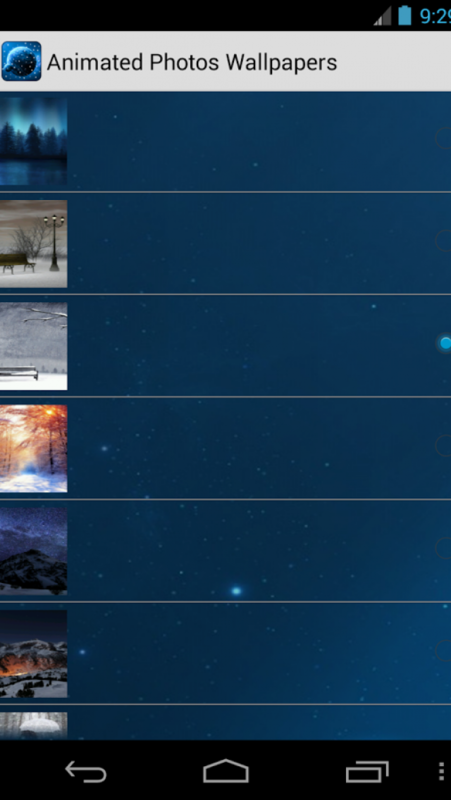 Winter Photos wallpaper has beautiful animated wallpaper with falling snowflakes and frozen effect. Autumn Photos wallpaper has dynamic Photos wallpaper with falling leaves effect which will help you to craft your own autumn Photos wallpaper. 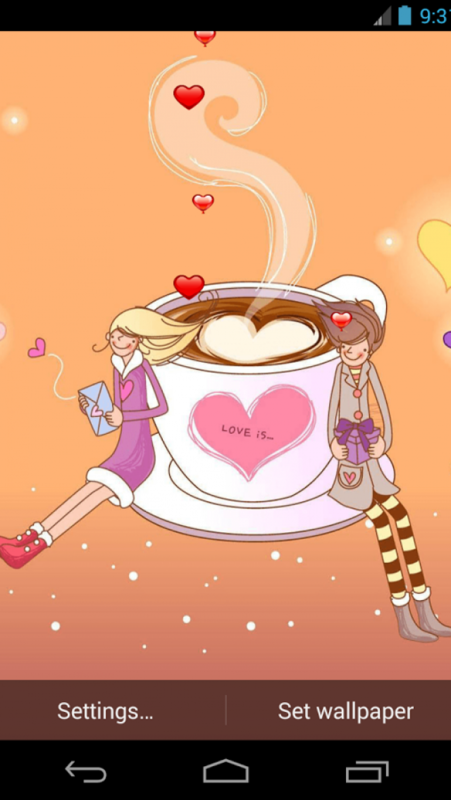 Love Photos wallpaper has beautiful wallpaper showing adoration and affection to craft Photos love wallpaper. Music Photos wallpaper also consists of different animated wallpaper for your choice. Birthday Photos wallpaper similarly consists of Dynamic Photos wallpaper to enjoy for you, while in personalize theme you can select any of your photo from your photo gallery to set them as wallpaper background and then select animated objects which falls on you custom background as animated wallpaper. 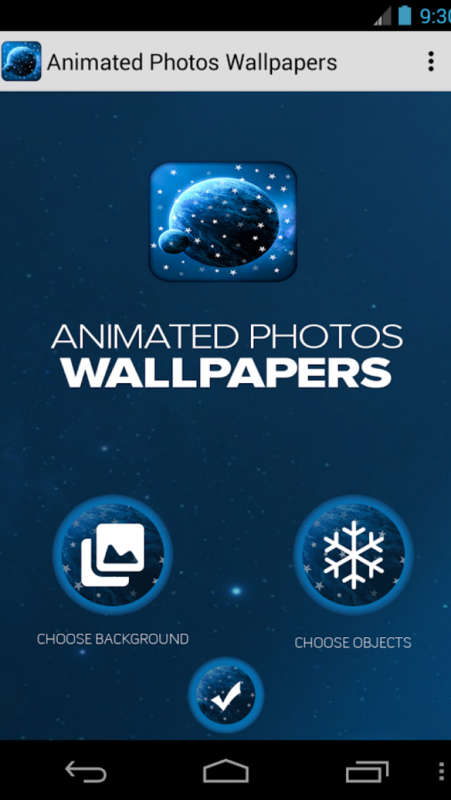 - Personalize your screen with Ideal Photos wallpapers of your choice! - Animated background to personalize based on your mood or weather. Stay tuned for more free and exciting animated Photos wallpapers in next updates. 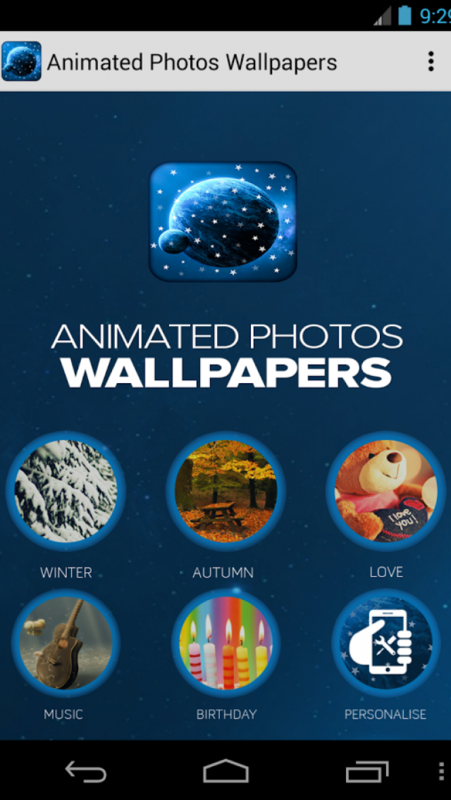 Download animated Photos wallpaper FREE now and explore beautiful wallpaper in your phone! !